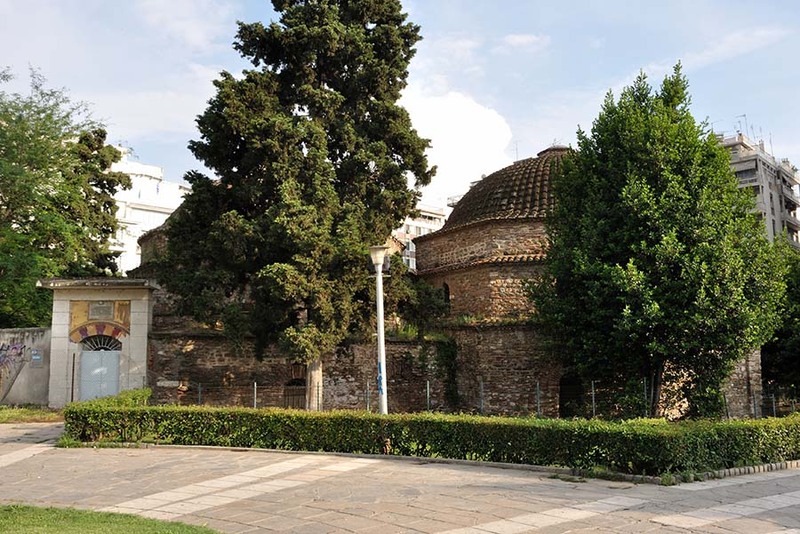 In Ano Polis of Thessaloniki, in the center of a small block surrounded by Theotokopoulou, Crispou, Filoktitou and Chrysostomou streets, there is saved a public bath, which was probably founded in the late 13th-early 14th century. Although structures of this kind there were many in the city during the Byzantine era, this is the only one that not only was not destroyed, but also it remained almost intact till nowadays; indeed it is one of the rare surviving examples of Byzantine baths in Greece. 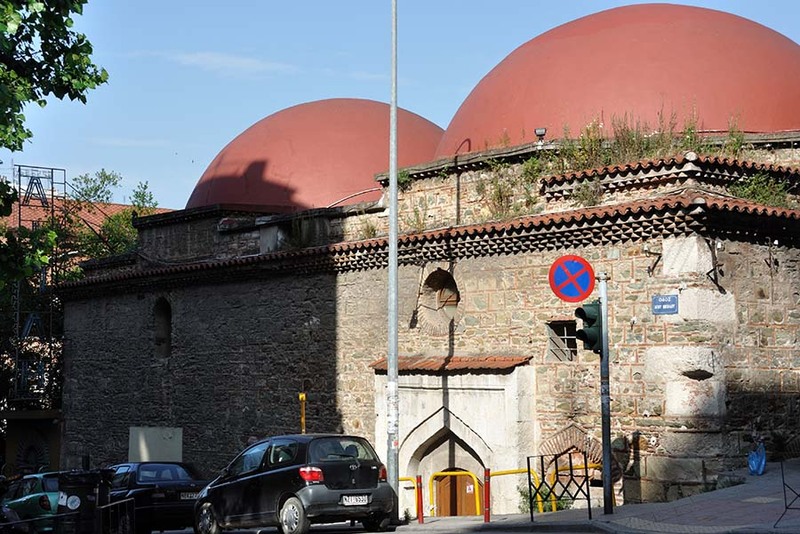 During the Turkish occupation it was not abandoned, it remained active and was known as the "Bath of Koule Kafe" (so it was called the district in which it is located), while it is characteristic that it ceased its operations in 1940, after seven centuries of uninterrupted use. The Byzantine bath of Thessaloniki is rectangular in floor plan and consists of three main areas, each of which is divided into two apartments. The first area, the cold (frigidarium or psychrolousion) was the vestibule of the building and the apartments were used as changing rooms. Through two narrow and low doors, someone could enter in the second area, the warm (tepidarium or chliaropsychrion), the rooms of which maintained an average temperature; there were taking place the preparations for the bath. The third area,the hot (caldarium or inner dome), was the main bath. Beneath the floors of its spacious apartments, is formed the called hypocaust, a low basement with pillars, in which circulated hot air to heat floors. The one of the two rooms of the warm area is housed with a low dome, while the other is covered by a hemispherical ceiling. On the north side of the building, there is an attached tank and beneath this there is a fireplace, which heated the water, in order to be diverted afterwards with clay pipes into the bath. 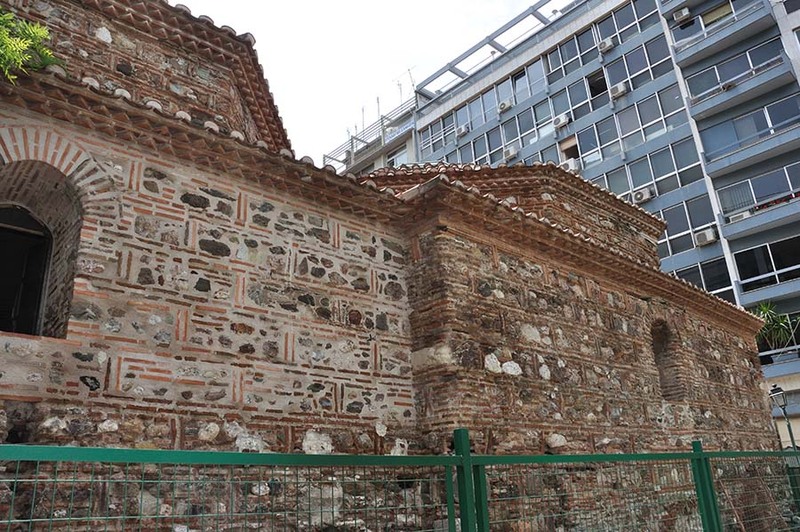 During its long history, the Byzantine bath of Thessaloniki was corrupted by additions and alterations. Also, while it was initially simple (i.e. it was intended only for men or women only), during the Turkish occupation it was transformed into double, so both sexes were able to use it. Recently, there were launched by the 9th Ephoreia of Byzantine Antiquities maintenance and restoration works for the monument, on purpose to be visited and be integrated in the archaeological trails of the historic center of the town.